Technology keeps entering the manufacturing space quicker than ever before. Supply chains are now dependent on cutting-edge software and systems to meet growing global demand. Mobile technology and integrated data management modules are helping manufacturers increase production and improve visibility across the entire organization. As production grows to meet global demand, the associated risks also increase as a result. Supply chains are now more wide-sweeping, meaning the chance of disruption is also higher. According to Resilinc, a provider of supply chain resilience and risk management intelligence and analytics, there are a handful of things that can cause a significant disruption. The most impactful event is a factory fire or explosion, followed by a labor strike or some other type of worker disruption. 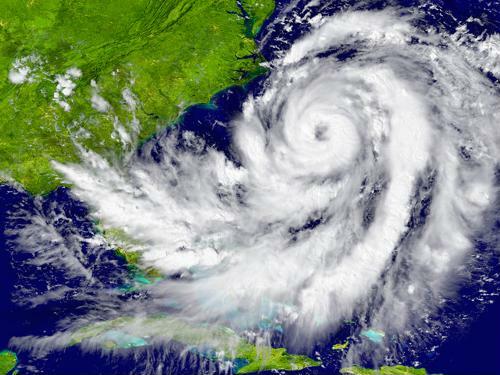 A hurricane or typhoon was the third-most impactful disruption in 2014. Typhoon Halong: The catastrophic typhoon in Western Japan not only devastated regional economics and residents, it also had a significant impact on regional supply chains, as Resilinc estimated some $10 billion in revenue. It impacted 446 sites and took 41 weeks to fully recover last August. New York Flooding: The severe flooding in America's largest city had an estimated revenue impact of $4 billion and cost two production sites 38 weeks in terms of time of recovery. Typhoon Rammasun: The Asian seaboard experienced more natural disasters in 2014 than any other continent, as Typhoon Rammasun last June impacted 36 sites, which took 26 weeks to fully recover from the damages. The estimated revenue impact cost those along the supply chain $1.5 billion in Vietnam and China. Taiwanese Gas Explosions: Gas explosions in southern Taiwan impacted four sites and took 26 weeks to recover. An estimated $900 million was lost due to the tragic event. Arizona Chemical Spill: Hazardous material and chemical spills are dangerous events, as seen last May in Southeast Phoenix at an Intel plant. Two sites were impacted and it took 10 weeks to fully recover, but the technology company and its supply chain partners lost more than $900 million. For the second year in a row, factory fires and explosions, labor strikes and hurricanes and typhoons were the most common supply chain disruptions. The top three industries for supply chain events in 2013 and 2014 were life sciences, high tech and automotive, Resilinc added in a release. The number of severe events decreased 41 percent year over year. Certainly, it's impossible to predict when a natural disaster or major accident will occur. Human error and mother nature both strike at random times, but that's not to say manufacturers cannot plan ahead and establish quality control to bounce back quickly from a major or impactful disruption. The right supply chain management software can help an organization rebound after an impactful disruption, regardless of the event. A mobile data collection solution can get operations online quickly. While it may take time to rebuild facilities and infrastructure, manufacturers can maintain oversight over remaining products after a disruptive event. What Is Food Traceability and How Does It Support Food Safety Compliance?